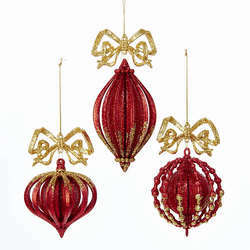 This Red & Gold Finial Ornament is sure to add a bold look to your Christmas tree! 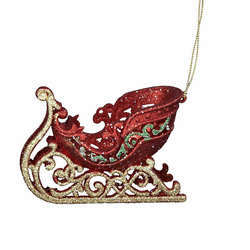 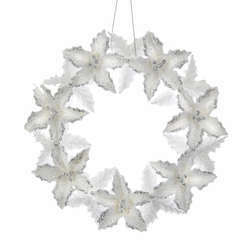 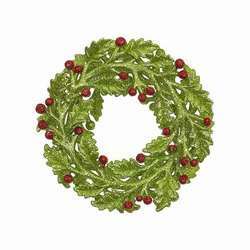 The open design will also allow you to see your other lights and decorations while still admiring the glittery shininess of this holiday accent. 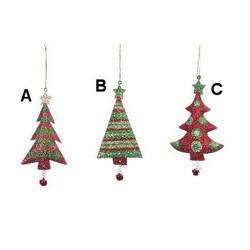 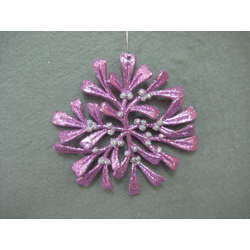 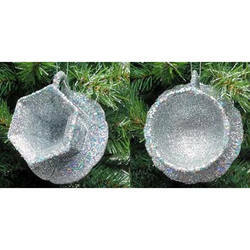 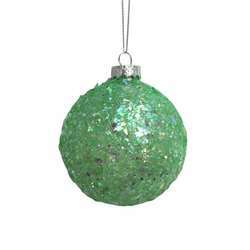 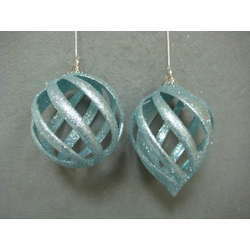 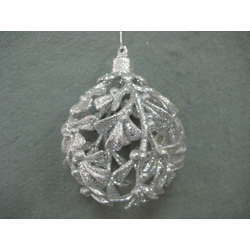 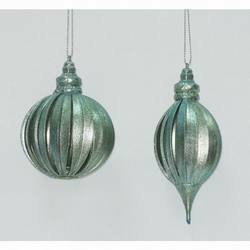 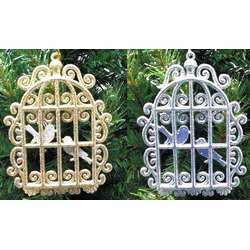 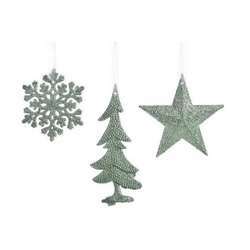 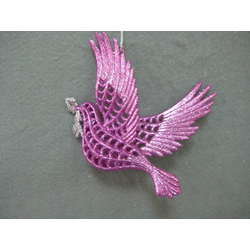 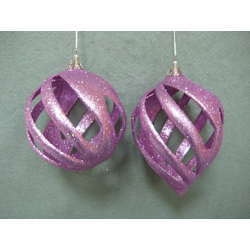 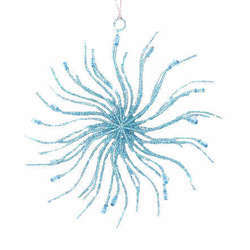 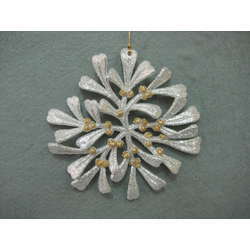 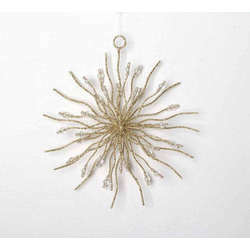 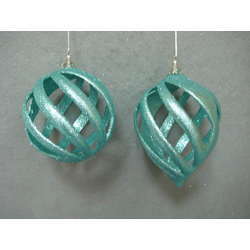 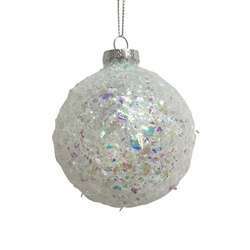 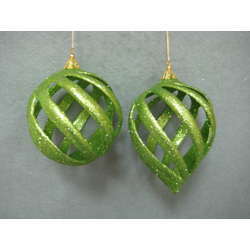 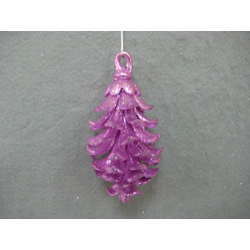 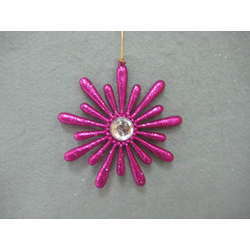 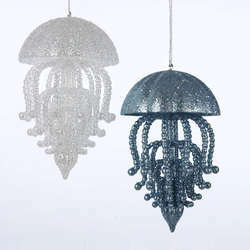 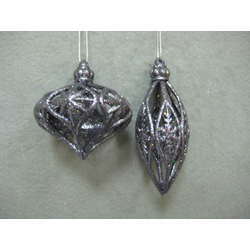 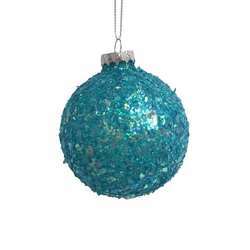 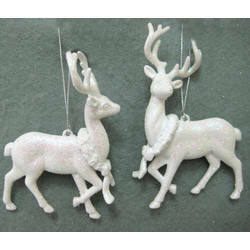 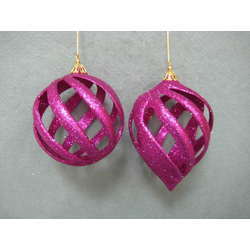 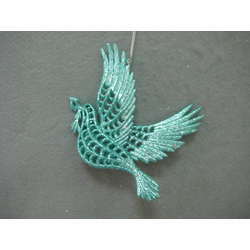 They are 6.5 inches tall and made out of plastic and come with a gold string ready to hang on your tree!